Experience the miracle of life hands-on. During this 3-4 week program, you and your class will receive all of the supplies necessary to incubate, hatch, and care for baby birds. All you’ll need to add is a little TLC and creativity. Sign up and you’ll have access to fun lesson ideas, posters, and more. Automatic turners come with the incubators to make your job easier over the weekends. The Extension office arranges homes for your babies, and help is always just a phone call away. 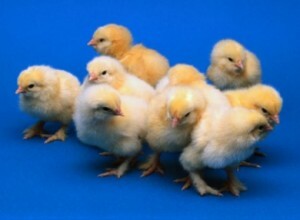 Cost per classroom is $20 for chicks and $30 for ducklings. If you plan to use your own incubator, be prepared to tell how many eggs it holds when you call to sign up. Limit: 6 classes to hatch ducklings. Classrooms hatching ducklings will end their program period a week later than shown above since ducklings take a week longer to hatch.